Unless you’re living under a rock, you’ve read an article or two (or, you know, 600) on BuzzFeed. As one of the Internet’s most popular news and media sources, BuzzFeed has made a name for itself with its popular quizzes, articles and listicles (it’s a word! Look it up!). 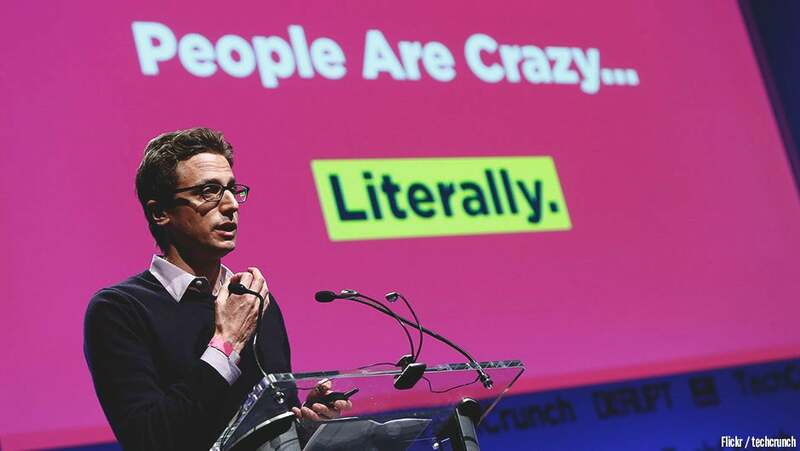 Despite the fact that it isn’t necessarily renowned for it’s serious news output, BuzzFeed has almost 175 million monthly users and content that connects to people, making it as well-known as those highbrow news sources. What’s the secret to BuzzFeed’s success? While their shareable lists are their signature posts, there’s more to it than just that. Below you will find 10 strategic moves made by BuzzFeed that can be used by any marketer to increase traffic and attract readers and consumers. This might seem like an obvious move, but it is a key step that many marketers skip when designing a website or article. In the same way, your content should be driven by your target audience. You want to speak to those who will be viewing your site, so strategize accordingly. Social media is a huge part of how people interact with the internet. If they like it, they’ll share it. BuzzFeed knows this, and makes it easy for its readers to share content through Twitter, Facebook, Pinterest and Instagram. When creating content for your website, market it through social media and include social sharing buttons that are easy to spot and click for the reader. The truth is that many of BuzzFeed’s articles and lists see a lot of Internet traffic because those headlines are so darn clickable. When you see “Just 27 Surprisingly Funny Tweets About Cats,” chances are you’ll be just curious enough to click on it and read all of those supposedly funny tweets. However, it’s not just the title that makes BuzzFeed’s articles successful. There has to be follow-through. It’s bad form to reel a reader in and then not deliver on the promised title. So, make sure the content of your post connects with your title. Whether the your post is a long and serious news article or a short, humorous listicle, the content itself should be to the point and easy to digest. This means short paragraphs and sentences. If someone clicks on a link to your site and scrolls down only to find that they’re reading the online equivalent of a Tolstoy novel, they’ll be outta there before they’ve reached the third paragraph. If something looks readable, people will read it. You’ll find that no matter what the content, BuzzFeed’s articles feel manageable for a quick, informative read. You want your readers to feel this way about the content on your site. You probably don’t need to read this to know that BuzzFeed has taught the world that we all really love lists. A list feels like an easy way to kill those few minutes waiting at the doctor’s office or bus stop. It doesn’t feel like an enormous time commitment. To look at “12 Incredible Photos of NYC Over A Century Ago Vs. Today,” feels like perfect use of those extra minutes. If you’re looking to simply inform your reader of a few important things, turn it into a listicle. It might appeal to them more than a typical informative post would. …But They Love Longform Content, Too! While BuzzFeed is known for its popular lists, it uses longform content in many of its news articles and human interest stories. This lends credibility to the site as a legitimate news source. While you should still heed the above suggestion to keep it short and to the point, this doesn’t mean you can’t spend some time elaborating on an important subject. This kind of form can be a better choice for certain types of content. It can also be good for your site’s credibility and SEO. Just make sure it’s readable and accessible. When a reader is able to interact with a post, it becomes more memorable for them. BuzzFeed does this through its popular quizzes. With pieces such as “Can We Guess Your Age And Gender From This 8 Picture Test?” they dare readers to take the challenge and it’s hard to resist. Some of the most widely shared links are quizzes. People are drawn to something they are able to interact with. You can create a quiz for your own site using a tool like Qzzr. Embedded quizzes could draw wider readership to your website. One of the most important things you can do for your website is to make it easily usable and accessible across all platforms. About 60 percent of those reading BuzzFeed are doing so on their phones. JThe headlines and images are prominent and it doesn’t take forever to load. It has always been true, even before we used the internet as our main news source, that when the emotions are triggered, people are more likely to read. Using humor, fear, joy, envy, shock or any other number of emotions will cause someone to stop and read. These, and many more emotions, are used by BuzzFeed to target readers and draw them in. Think about what you are trying to do with your site. How can you use emotions to draw your audience to the content you are distributing. Of course, the biggest mistake you can make is to set your site and forget about it. To stay ahead of the curve and make sure your site continues to maintain popularity, you have to use analytics. BuzzFeed does this, and is always aware of what is popular – and what’s not – on their site. The most visited posts are featured on their home page. And when things are less popular, they learn from their mistakes in the future. Make sure you know how your audience is responding to your content and adjust accordingly.